As a teacher, I do more and more grading online every year and, all things considered, this is a good change. But when it comes to science exams, nothing beats good old paper and pencil. My usual grading implement of choice is a Pentel Energel in purple, green or orange but I decided to branch out a bit the last couple of weeks by using colored pencils. Worse yet, I’m using colored mechanical pencils! If you are a pen(cil) nut you already know that there are a dizzying array of options available for mechanical pencils and we’ll fall down that rabbit hole soon enough. For now, let’s start with a mechanical pencil option that many folks never pursue – the colored mechanical pencil. 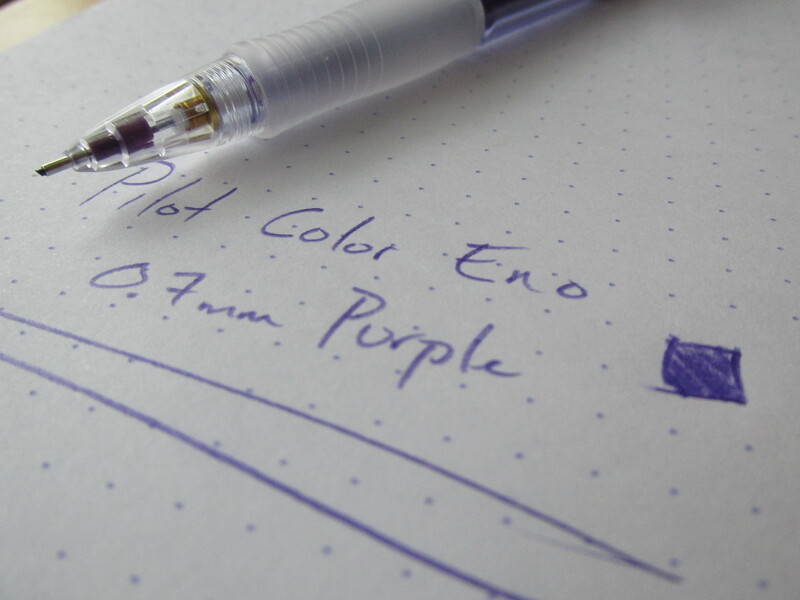 I bought this purple Pilot Color Eno on a total whim during a recent visit to JetPens.com. When it arrived I thought, “Looks nice. When the hell will I ever use it?” Well, testing time recently arrived in my science class and while looking for something different to use for grading I came across the Color Eno. Turns out it’s been a great little experiment. As you may know, colored pencil “leads” are primarily composed of dyed wax. Think of a thin, hard crayon and you basically have the right idea. As a result, colored pencils are prone to breaking more than graphite “leads” which can be a bit annoying. This problem was resolved so long as I avoided exposing too much of the “lead” at any one time. One, maybe two clicks of the knock is all you need and all you should extract in order to avoid breakage. As for the writing experience…I really like it. Being made almost entirely of plastic, the Color Eno is lightweight but the contoured and stripped plastic grip gives me plenty to hold onto. 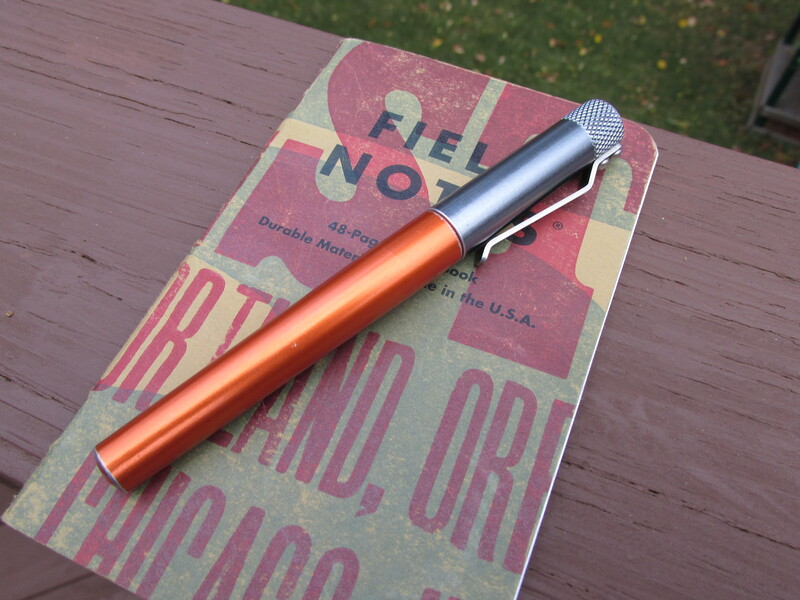 At first, the grip feels a little stiff but it seems to soften up as you write. Importantly, the diameter and shape of the grip resulted in zero slipping and I never noticed my fingers creeping down the grip. For lefties like me, this is an issue because we push our pen and pencils into the paper and slippery grips (i.e. stainless steel) can feel a bit unwieldy. Being a waxed based “lead”, there is a touch of resistance when laying down marks with the pencil, but again, I like that. In fact, I seem to be gravitating towards finer points/lines in many of my writing toys because I like the bit of resistance and feedback I get. My novice, crappy pictures do a decent job of showing the color of the line produced by the Eno. If anything, I would say it’s a touch less blue in person than my miserable photography suggest. It a fairly true purple (sorry, I think it’s technically listed as violet); not too pink or red and not too blue. For my purposes, it needs to contrast enough on test papers written in pencil or ink and it does. Another nice thing about grading with a mechanical pencil is that the need to advance the “lead” makes me feel like I’m making progress. With my trusty and still much used and enjoyed Pentel Energels I would just turn the page and keep on going. With a mechanical pencil, I get the occasional reprieve of needing more “lead” which is also nice way of slowing down to make sure I’m grading accurately. So, do I like this colored mechanical pencil thing? I guess I do because I just dropped a few more bucks on the green and blue Color Enos on yet another JetPens order earlier this week. 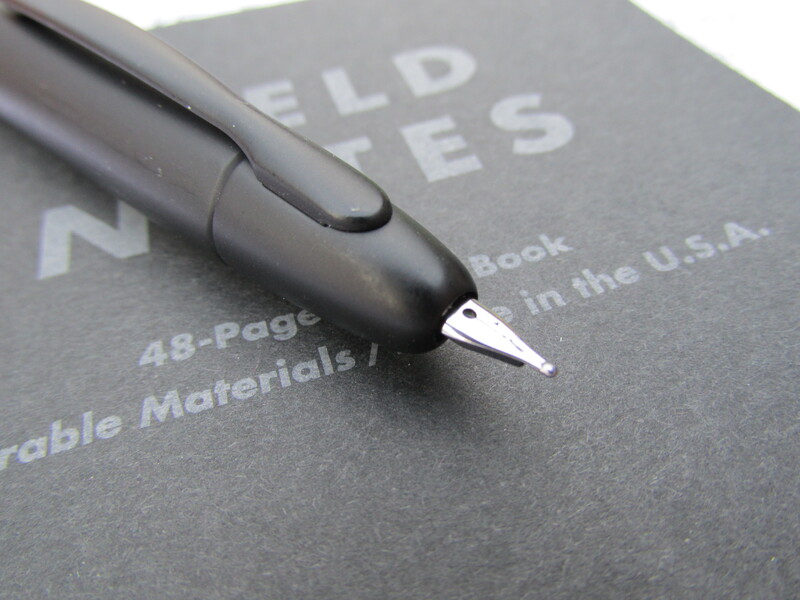 If a pen could be an evil genius, then the matte black Pilot Vanishing Point would fit the bill. The Vanishing Point may be one of the most talked about and reviewed fountain pens going today and for good reason. It’s unique, incredibly well made and a solid writer (mostly). 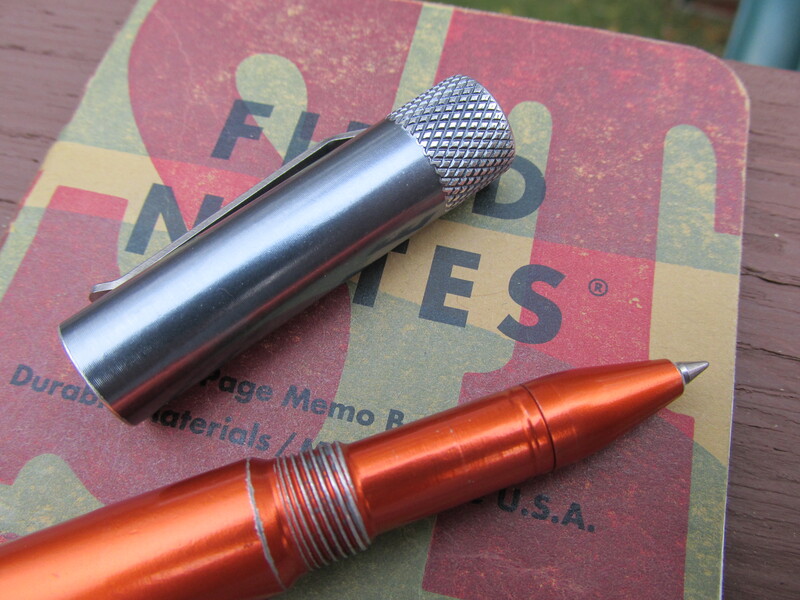 The questions we have to answer are whether or not the uniqueness wanders into overly quirky territory and if the design elements required by the retractable nib make the Pilot VP a pen worth using for extended writing sessions. For me, the answers two both questions is “no”. The design works but the writing experience is a bit awkward for me. 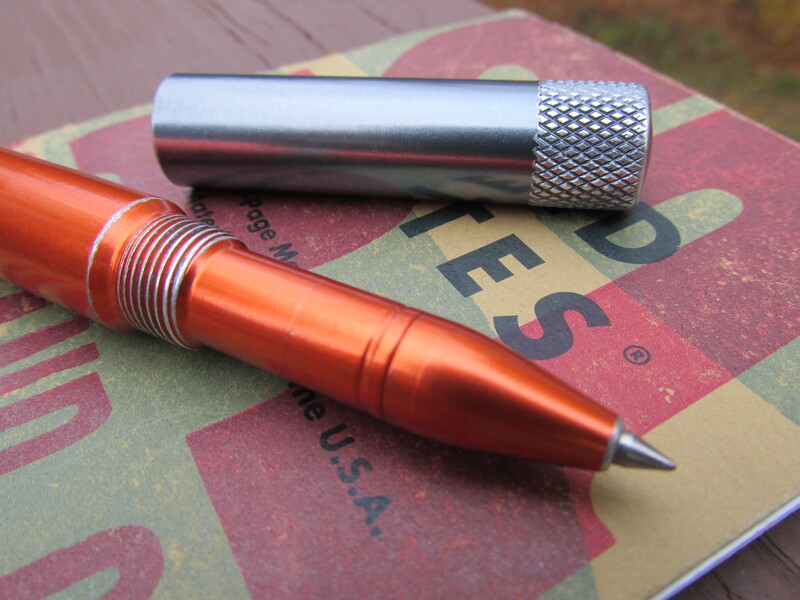 Obviously, the retractable nib thingy is way cool. Yes, the fact that the clip has to be on the end where the nib resides can make for an awkward grip, but the design and build quality of the retraction mechanism and the overall pen are excellent. If you like to collect a variety of fountain pens, you probably should have a Pilot VP solely for its unique features. Also, if you’re looking for a quality fountain pen to use as a pocket carry to make quick notes, you could do a lot worse. So, even before we get to its qualities as a writer, there is much to recommend this fine fountain pen. The Pilot VP comes with an 18 k gold, rhodium-platted nib. It’s shown here loaded with Noodler’s Dark Matter. Given these nib materials and the overall excellent quality of the pen, the typical street price of $140 is reasonable (remember, everything is relative here). The nib is rather small and, like typical Japanese nibs, a medium is more a medium/fine and a fine is more a fine/extra fine. I would say my medium-nibbed Pilot VP behaves like a wet fine. How does it write? Well, it depends on how you hold the pen. As a left-hander, I’m typically an overwriter with a bit of a hook. But, like many lefties, I sometimes switch to underwriting when underlining and making other strokes or if the pen I’m using requires it. When I underwrite, the VP works wonderfully. It’s smooth, lays down a fairly wet fine line and never skips. However, when I overwrite, the performance is a bit inconsistent (not bad, but inconsistent) and, believe it or not, the nib makes an occasional squeaking noise. 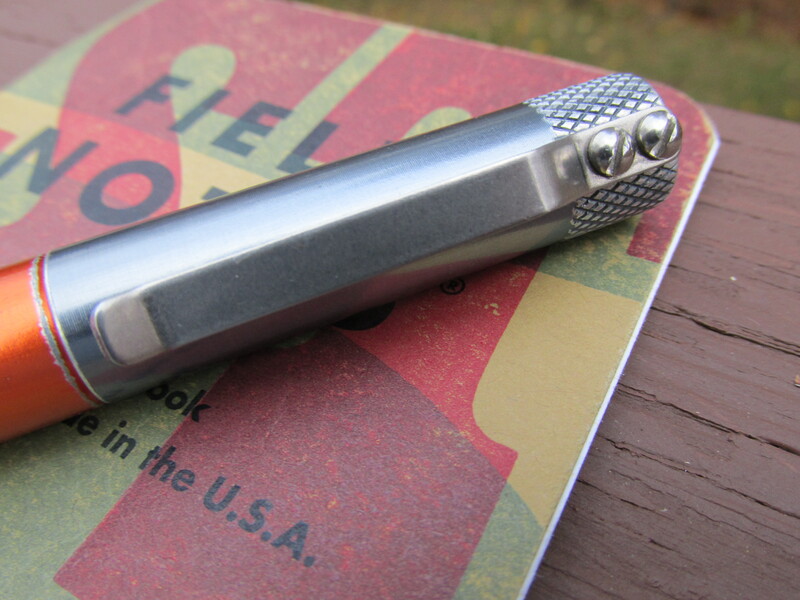 I suspect right-handed folks and lefty underwriters would really like the Vanishing Point and could find a spot for it in their regular rotation. As a lefty overwriter, I have my reservations. Clearly, a visit to the nib doctor may be called for if I want to make the Pilot VP more than an occasionally used novelty. I do like the overall size of the pen; it fits my medium-sized hand quite well. 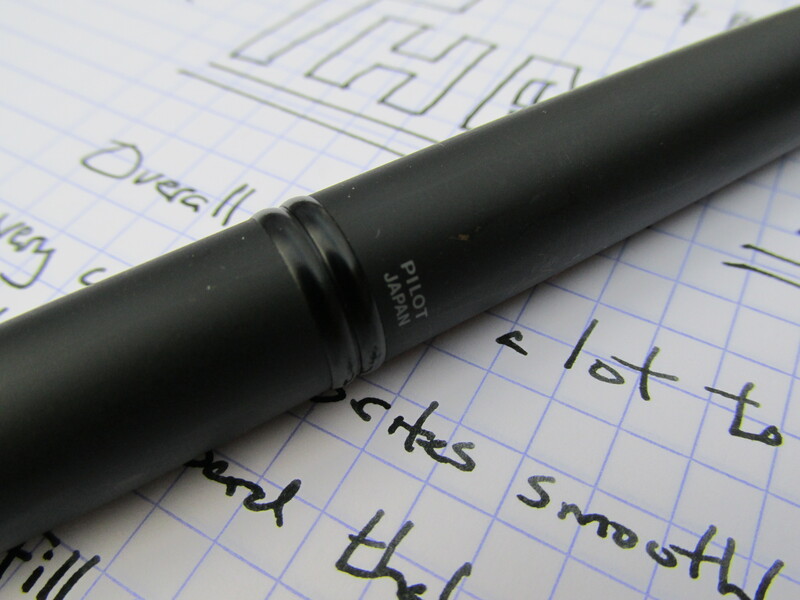 The matte black Pilot VP is the Darth Vader of fountain pens. As Vader is part machine and part man, the VP is part mechanical novelty and part traditional writing instrument. Although Vader was never able to fully realize is galactic ambitions, I’m hopeful a bit of nib work will turn my Pilot VP into a fully functional death star of a pen. Psst…Hey buddy…You got $15? That’s all it’s gonna take to get something I know you’re gonna dig. Of all the “economy” class fountain pens available, none have a better quality to price ratio than the Pilot Metropolitan. 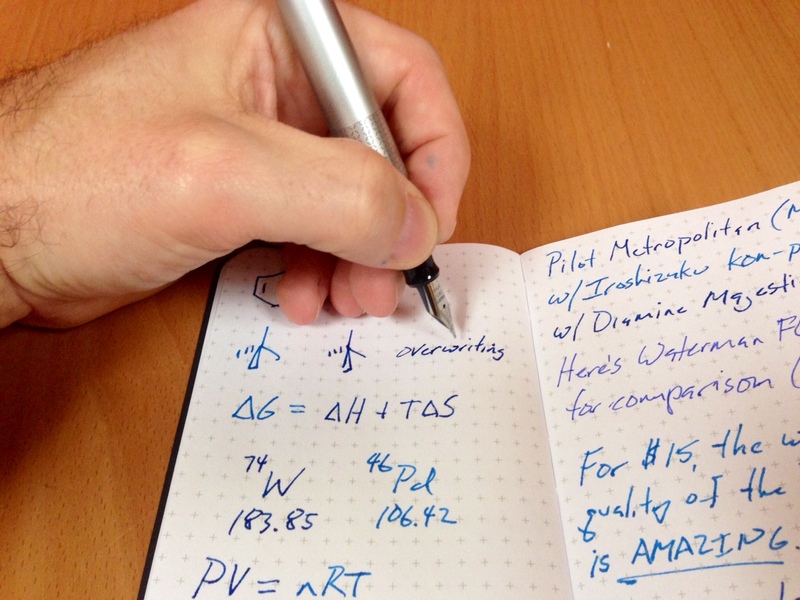 Are there less expensive fountain pens available? Yes. 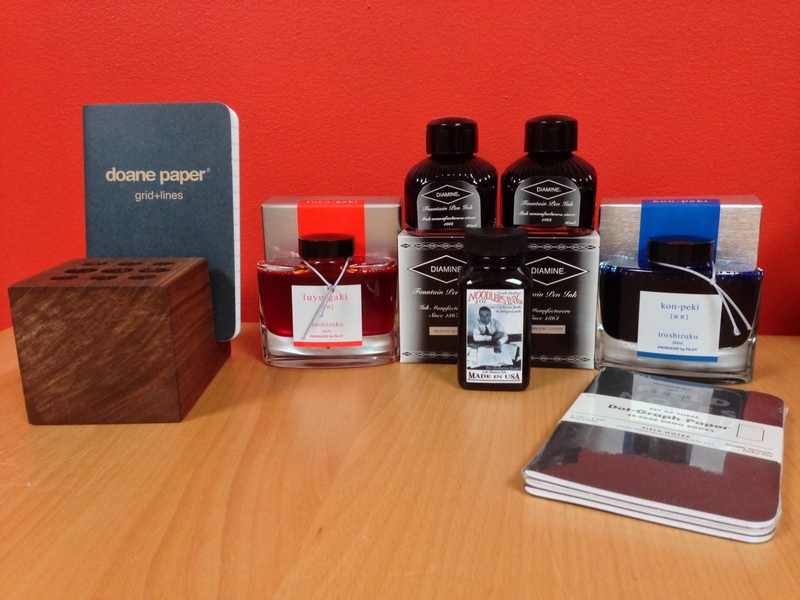 Are there better fountain pens to be had? Without a doubt. 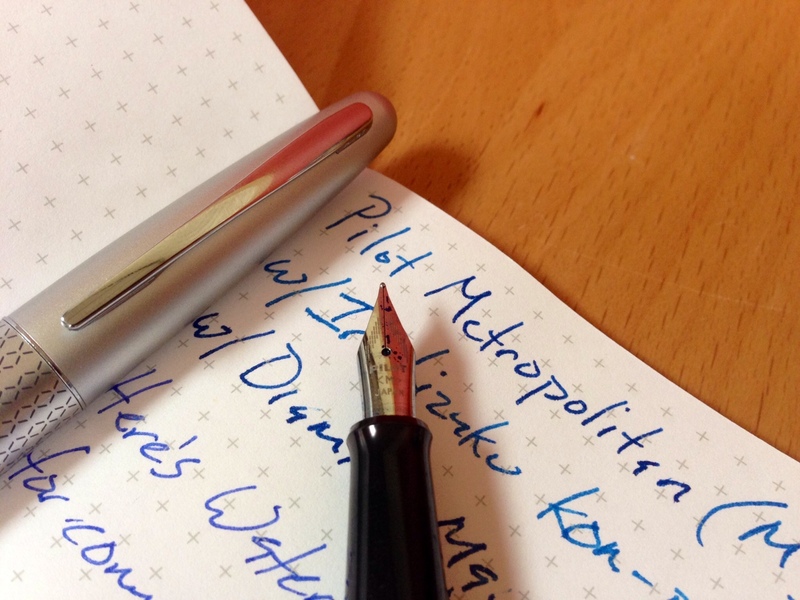 Is there a fountain pen with the build quality of a Pilot Metropolitan for less than $20? Maybe, but I don’t know of one. 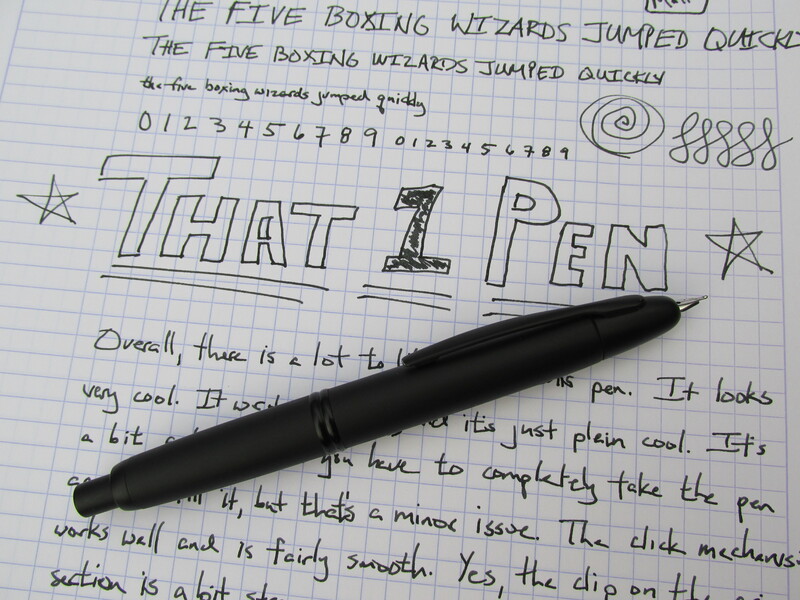 The first, second and third things we fountain pen dorks care about is the writing experience. If it doesn’t write well, then nothing else should matter. After all, that’s why we’re using a darn fountain pen in the first darn place. 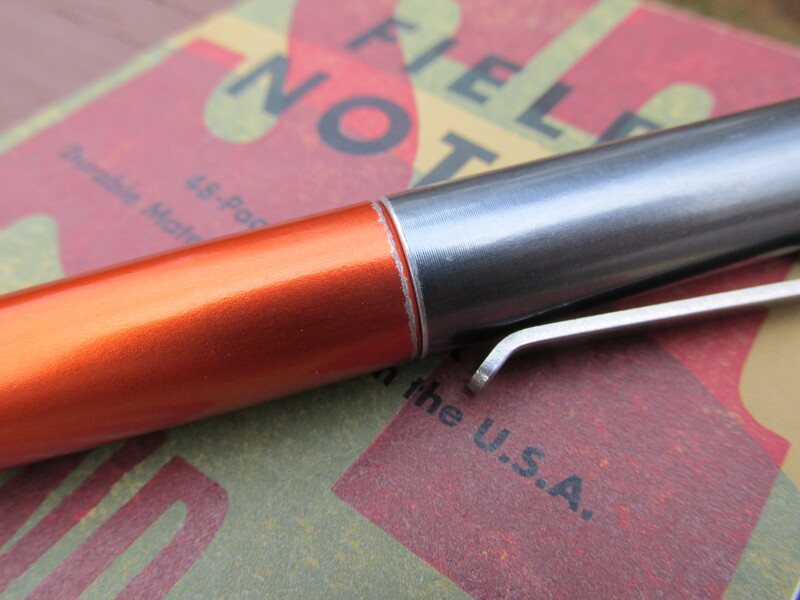 The stainless steel medium nib of the Pilot Metropolitan (PM) certainly delivers on this score. The only time I have any issues with the PM laying down a consistent line is when I’m circling from left to right and up with my writing motion. Occasionally, the line will thin out or even skip when I’m working on a “O” shape (see how the “o” of “overwriting” is a bit thinner in the picture of my hand?) or when I’m transitioning between the downward and upward motions on a check mark. I’m certain; however, that this minor issue has everything to do with the fact that I’m a left-handed “overwriter”. 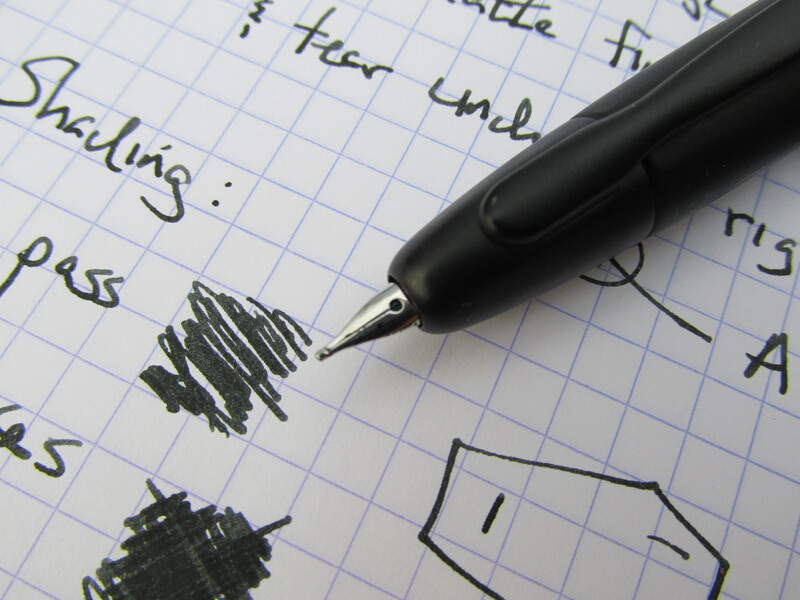 Folks writing at a more traditional angle will have no problems and I’m willing to tolerate the very rare thinning/skipping to write with a nib that’s this smooth at this price. As you can see from the pictures, I’ve already violated my habit of using Waterman Florida Blue (WFB) as my go-to reviewing ink. Look, we both know this wasn’t going to last and besides, I got a whole bunch of inks for Christmas that I was “dyeing” (sorry) to use. 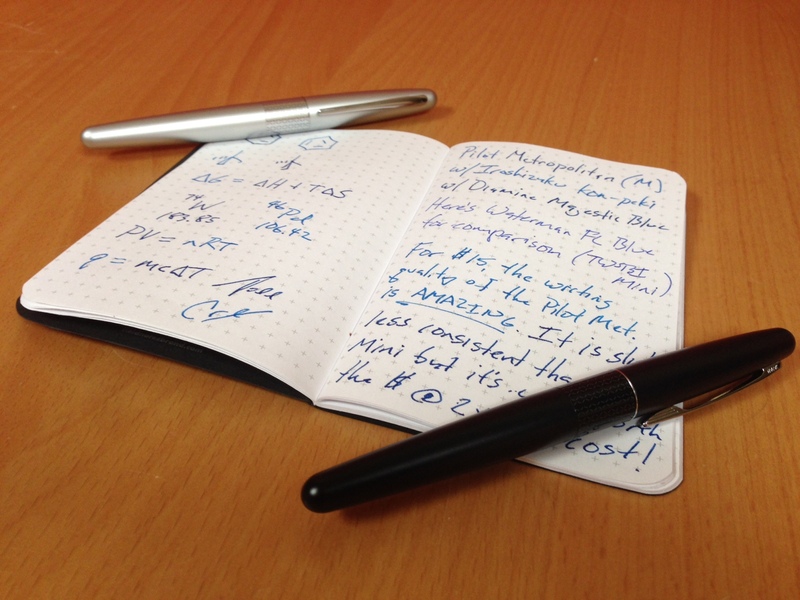 We have Diamine Majestic Blue and Pilot Iroshizuku Kon-peki in the silver and black pens, respectively. (Finally, I’m able to spell “Iroshizuku” without having to look it up each time.) I won’t say too much about these inks here other than to say that both write wetter than WFB. Also, Majestic Blue is on the blacker side of blue than WFB and Iroshizuku Kon-peki is on the bluer side of blue than the slightly purple WFB. My early preference is for the Majestic Blue over the Kon-peki, but I need to see the Kon-peki in a finer nib before I say too much. Back to the PM and its appearance. I would say the barrel is on the medium to thin/medium side when it comes to overall thickness in fountain pens and there is a noticeable step down from the body to the grip sections. It has a classic, nearly seamless shape and feel when capped and the tapered clip works well with the overall look of the PM. 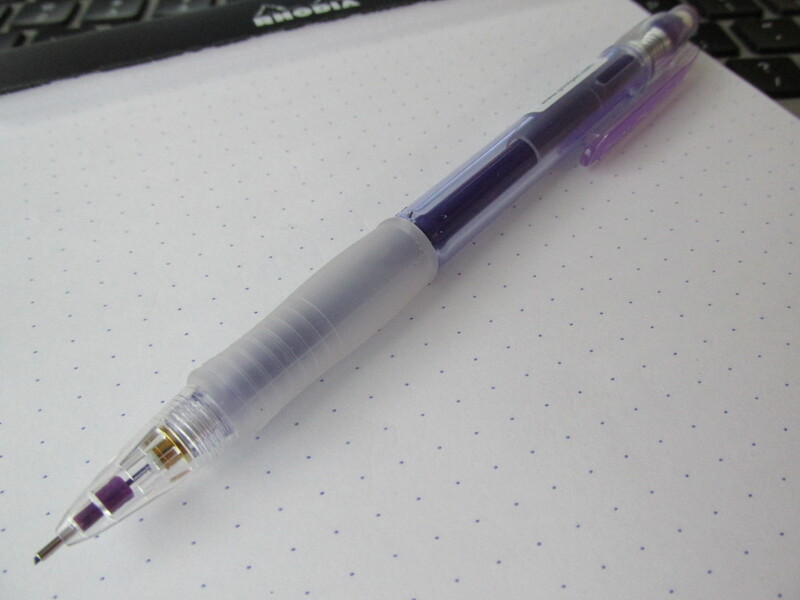 I mostly post this pen when writing as it feels just a bit too small and light when used sans post. The PM has always come in black or silver with different pattern swatches on the body section. 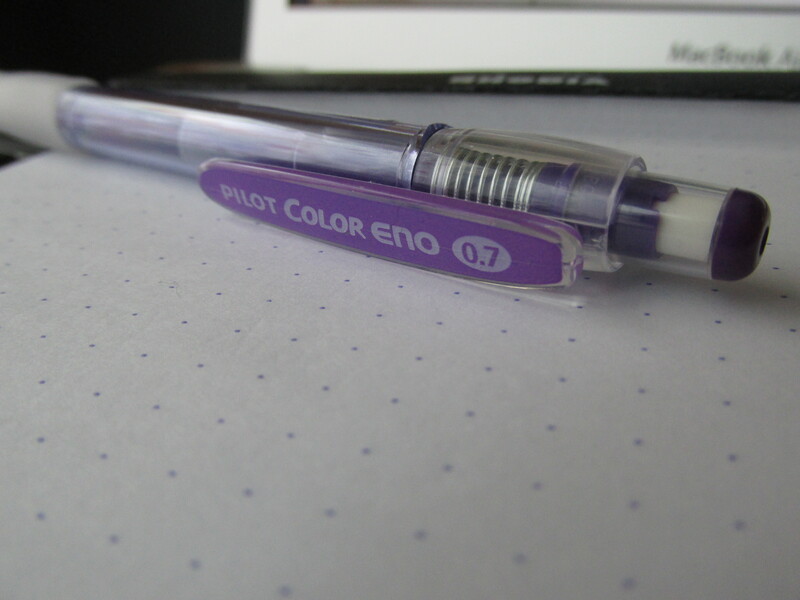 Somewhat recently, Pilot issued a number of other finishes as well. Honestly, I’m of two minds when it comes to all these color/pattern variations. On the one hand, I would prefer that Pilot spend money providing alternatives for nib size (only available in medium) and/or offer a converter in the box (mine came with a con-20 sac). On the other hand, the color and pattern variations are fun and offer buyers options for themselves or when buying a PM as a gift. I guess Pilot knows better than I do; I bought the purple PM rollerball as a holiday present for a colleague. 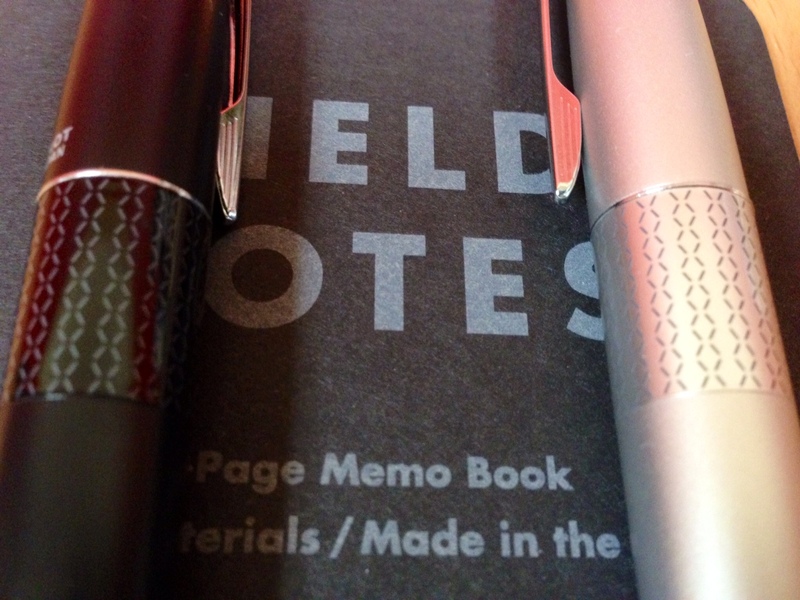 The quality-to-cost ratio alone makes the Pilot Metropolitan a “Carry It” for me. I don’t actually carry one in my pocket, but I frequently have both my black and silver PMs inked and ready to go in my bag or pen case. I tend to load them with nontraditional colors (this review notwithstanding) to mark student assessments and write to-do-lists or other short notes in different colors. The Pilot Metropolitan is like that favorite $9.99 bottle of wine that becomes a staple in a modest wine collection. When you’re not sure what wine to have with dinner and/or you’re hesitant to open that $19.99 bottle, the $9.99 staple remains a great option. Even if it doesn’t pair with the meal perfectly, it’s still better than having a diet soda. So, get two or three and put whatever inks you want in your Pilot Metropolitans. 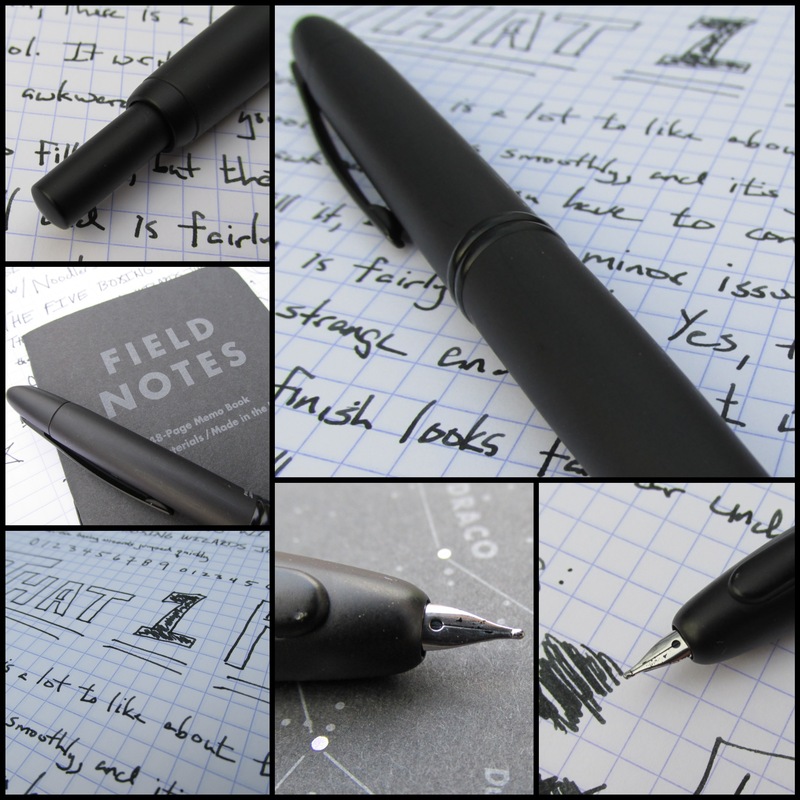 They’re a great go-to fountain pens that work for all your everyday needs. 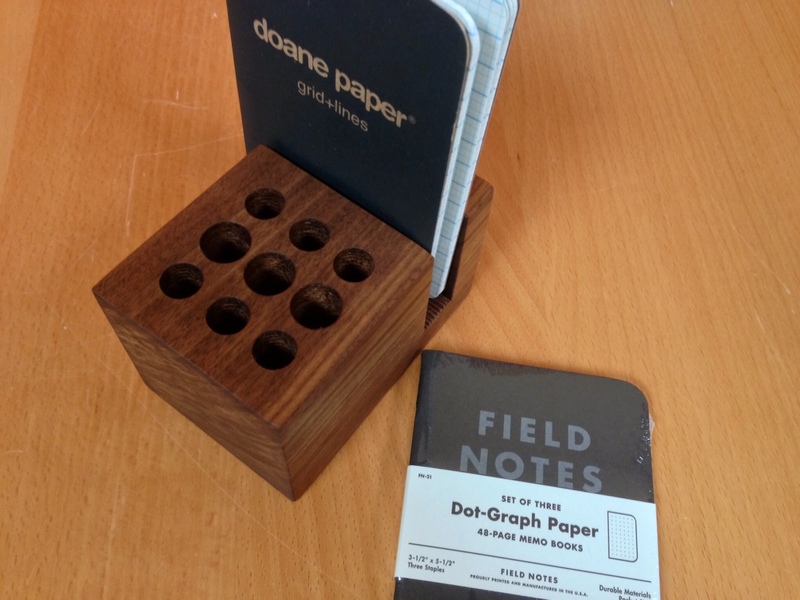 The Groove with complimentary Doane Paper utility notebook and the new Pitch Black from Field Notes! 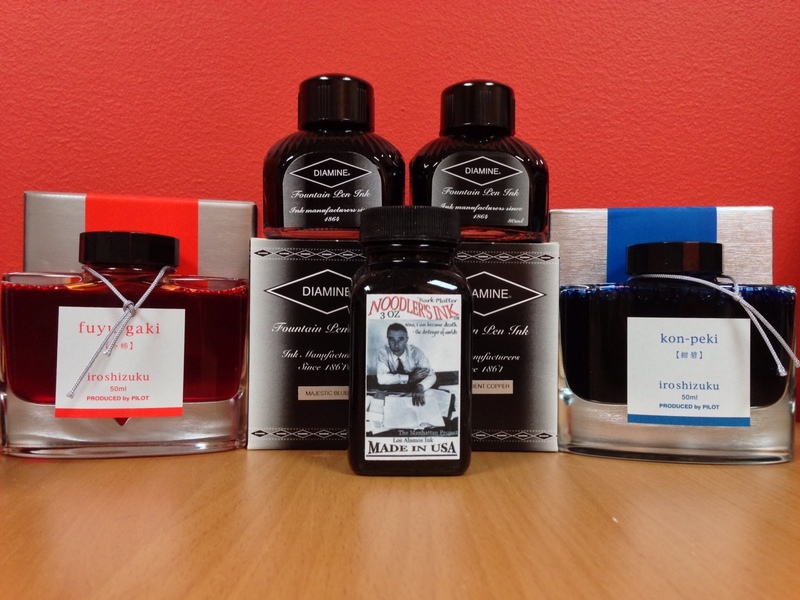 Count ’em…that one, two, three, four, FIVE bottles of new ink! Diamine Majestic Blue, Diamine Ancient Copper, Pilot Iroshizuki Kon-peki, Pilot Iroshizuki Fuyu-gaki and Noodler’s Black Matter (featuring physicist Robert Oppenheimer). Many thanks to Mike Dudek @ClickyPost, the folks at Goulet Pens (and, of course, the wife) for making sure that Santa’s sleigh arrived on time.